For some years, maths has been the largest entry A level in England. In 2018 around 90,000 students took A level maths, with just over 15,000 also taking A level further maths. The introduction of the new A level was deliberately included in those subjects for first teaching in 2017, so that the students taking the new A level would first have studied the new 9 to 1 GCSE maths. Some schools and colleges entered students for the new A level last summer and we explained last year why maths was available after only one year’s teaching. As a result, there are past papers and grade boundaries available from 2018, but we urge caution in relying on those 2018 grade boundaries. Only a few thousand students, mainly those in year 12, took the new A level in 2018 and they tended to be very able mathematicians who were also studying A level further maths. As a cohort, those few thousand students will have performed very differently to the tens of thousands that we expect to see this summer. In recent years, as we have seen the introduction of new A levels and GCSEs, we have cautioned about the likelihood of increased variability in results for individual schools and colleges. But that’s generally not what we’ve seen – schools and colleges appear to have adapted very well to the changes, and results, both overall and at school/college level – have been stable. As for all other reformed subjects, the new A level is decoupled from AS, so AS units do not count towards the A level grade. Since the legacy maths was a six-unit qualification, this means students taking the new A level will sit fewer exams. 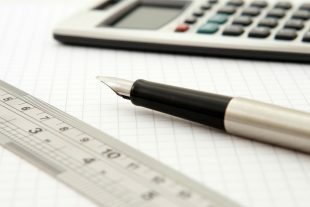 However, the move to a linear structure is more of a change in maths than in other A level subjects, as A level maths students taking the legacy specifications could choose to take 4 AS units and 2 A2 units to achieve their A level (in other 6-unit A levels, students would have taken 3 AS units and 3 A2 units). The new A level maths has entirely compulsory content, covering both statistics and mechanics, so some teachers might be teaching material they are less familiar with. The complex structure of the legacy specifications, with many optional AS and A2 units, some of which could be used for both maths and further maths, has been simplified. A level maths is now separate to further maths and the units for the respective qualifications are different. Previously, students often sat some units more than once, and unit results were combined to maximise the grade (or grades where students were also taking further maths) achieved. In all the new linear A levels, students’ grades are determined by the number of marks obtained in their exams taken at the end of the course. All of the above changes make it challenging for senior examiners to judge the quality of student work compared to previous years. And we know from our research into the sawtooth effect in new qualifications that student performance tends to dip slightly in the first years of a new qualification. That’s likely to be only a small number of marks, but it makes the senior examiners’ task of setting grade boundaries even more challenging. So our approach this summer in the new A level maths will be the same as for the first awards of the other reformed A levels. Exam boards will use predictions based on the cohort’s prior attainment at GCSE so that if this year’s cohort is similar, then we would expect the profile of grades to be similar to previous years. We do this in order to be fair to this year’s students and to make sure that exam boards’ standards are aligned.